When I say body building women, what image comes into your mind? Is it of a well toned lady with a flat stomach, small waist and a pert bum? Or is it a woman who looks more like a man with bulging muscles all over the place? It is probably the second option but this is not how most body building women look. The ones with the excessive muscles have usually been taking steroids and let's face facts. A woman's body was not meant to cope with an overload of testosterone. If you want to tone up and slim down, you should seriously consider doing a bodybuilding course at your local gym. Find an instructor who specializes in helping females to work out as our routine will be slightly different to the male bodybuilders. Most of us women want to target our stomach, bums and thighs as these are the areas where fat seems to be attracted to most. A lot of people use the excuse that if they build up muscle it will turn to fat when they stop working out. This is a bit like thinking brass is going to turn into gold. Fat and muscle are two completely different substances and one cannot turn into the other. What tends to happen is that when you are bodybuilding you will eat more. In fact the recommended diet is to eat at least five or six small meals a day with plenty of quality protein, vegetables and healthy fats. If you stop working out, your body will not need as much fuel as it did previously. But often people forget this little point and continue eating at the same level. If you are not burning the energy produced by your food intake, you will put on weight. 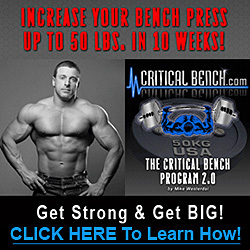 Certain bodybuilding activities add shape and definition to the areas you want to target. 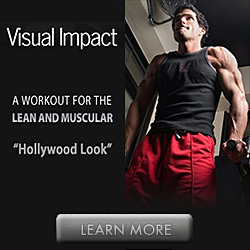 Your instructor will be able to help you come up with a bodybuilding routine to maximize the effect of your training. You will also need to do at least 6 sessions of cardio workout a week. The bad news is that these are most effective when done before you have had breakfast so you need to set that alarm clock for a little earlier! Another myth about bodybuilding is that you cannot combine it with aerobic exercise as it will prevent you building muscle. In my opinion this is rubbish. Aerobic exercise burns calories and fat, is good for your health and actually helps to increase muscle mass. So make sure it is part of your new bodybuilding routine. Following a bodybuilding diet will help you to get the most out of your weight training program. Eating smaller but more regular meals will boost your metabolism helping to burn the calories. It will also help to regulate your blood sugar levels helping to prevent those cravings that can cause the end of the diet. And perhaps most importantly you won't get that deprived starving feeling associated with most weight loss plans. If you need some inspiration consider the fact that the models you see on TV with their superflat stomachs and toned legs are all body building women. Women are also going for bodybuilding which used to be a niche for men. But now, many women have excelled in body building and this is definitely good new for gender equality.